By CNN'S ELI WATKINS, ERIC BRADNER AND REBECCA BUCK CONTRIBUTED TO THIS REPORT. (CNN) - Secretary of State Mike Pompeo is considering a run for a Kansas Senate seat seriously enough that he met Sunday with leading GOP consultant Ward Baker, a source with knowledge of the situation confirmed to CNN. 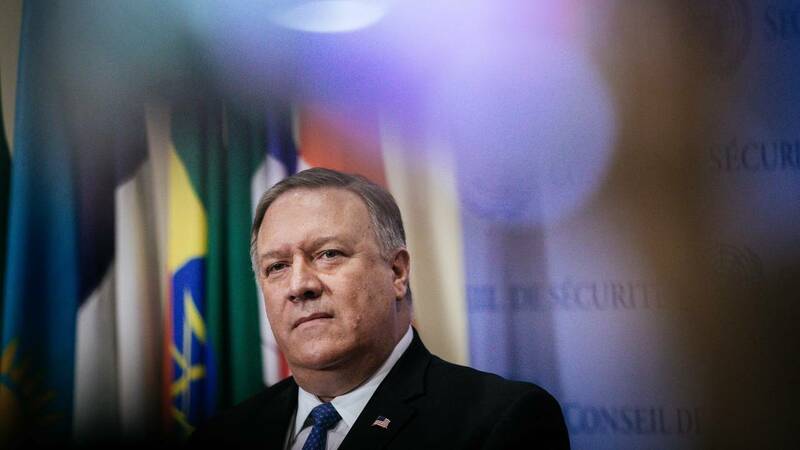 The source said Pompeo "is focused on his job as secretary of state, but he is listening" to those urging him to run. Leading the charge to convince him to run is Senate Majority Leader Mitch McConnell, who has personally pushed Pompeo to enter the race, CNN has confirmed. Kansas GOP Sen. Pat Roberts announced earlier this month he would not seek re-election in 2020, meaning his seat would become open. Before becoming CIA director and then secretary of state, Pompeo served three terms as a congressman from Kansas. Regarding other possible contenders, one Republican source told CNN earlier this month: "Pompeo is in a league of his own." "Republicans in the Senate writ large would love to see him run," the source said. "The list is him, and then there'll probably be a second list depending on where his head is at." Pompeo and Baker, who previously served as executive director of the Senate Republicans' campaign arm, were expected to discuss what would be needed to make a Senate run. Politico first reported the meeting. The Washington Post first reported McConnell's courting.